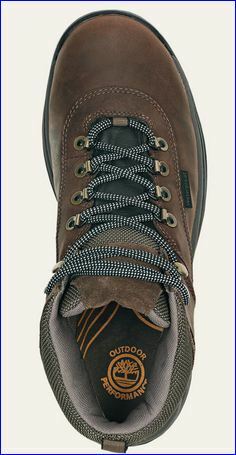 Timberland While Ledge Hiking boot. This Timberland White Ledge hiking boots review is about one of the all-time best-selling products of Timberland. Presently, these boots are number one best-selling hiking boot on Amazon. These are versatile and multipurpose boots built of a waterproof leather, which is made waterproof during the tanning process. All seams are either sealed or an internal waterproof and breathable membrane is used. White Ledge boots are surprisingly lightweight in view of the fact that these are all-leather boots. They are made of durable materials and comfortable. You will read that premium full-grain waterproof leather is used in their construction. The back view of a White Ledge hiking boot. If you are not familiar with the terminology, full-grain leather refers to hides that have not been sanded, buffed, or snuffed. So this is the best quality leather, normally used for the top quality leather furniture and footwear. Such a leather preserves its natural strength, durability, and breathability. Just to add that the second best is top-grain leather, and then follow corrected-grain leather and split leather. Breathability is yet another great feature of these boots and this is due to the technology used in the treatment of the leather for these boots. The padding around the ankle is very thick and comfortable, and the same holds for the upper tongue, see the picture below. The body of the boots is practically one piece of waterproof leather, and you will hardly find any other model of the similar type that could match the weight of White Ledge boots. The boots are very comfortable in general. Many have reported a zero break-in time. The sole is comfortable and very flexible. But this can also be a problem on very long hikes on a rough terrain. You would not feel good with these boots if you are climbing Teide mountain, or Mount Fuji (these pages describe my climbs of those mountains, so please have a look). For such situations, I prefer boots with a much harder sole. Inside, you have a removable dual-density EVA insole which gives a lot of comfort and cushion. It is perforated for extra air circulation. 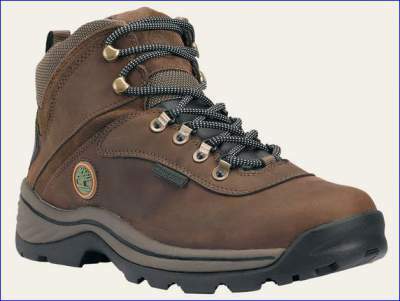 You might want to compare these Timberland boots with yet another very popular model available on the market, Lowa Renegade GTX, so please have a look and observe the difference in price. For men, US (EU) size: 6 (39), 6.5 (39.5), 7 (40), 7.5 (41), 8 (41.5), 8.5 (42), 9 (43), 9.5 (43.5), 10 (44), 10.5 (44.5), 11 (45), 11.5 (45.5), 12 (46), 13 (47.5), 14 (49), 15 (50), 16 (51). For women, US (EU) size: 5 (35.5), 5.5 (36), 6 (37), 6.5 (37.5), 7 (38), 7.5 (38.5), 8 (39), 8.5 (39.5), 9 (40), 9.5 (41), 10 (41.5), 11 (42). For a full list of sizes (for several other countries) please check here. I have seen an enormous amount of reviews of these boots, and wherever I look I see an exceptionally high rating. The picture below left shows how these boots are rated by more than 5000 Amazon customers. The number tells you also how popular these boots are. 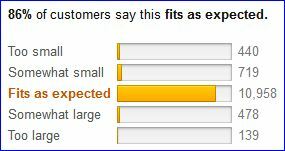 On the right, you see the percentage of customers who were happy with the fit when they received their boots. So if you know your size, it is most likely you will get the proper size when/if you order these boots online. 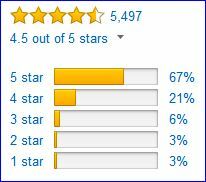 Rating of Timberland While Ledge boots by Amazon customers. Reports for the fit of While ledge boots. Rustproof speed lace hardware with 4 hooks at top. Pull loop on the heel for easy on/off. Removable dual-density EVA footbed, padded collar and tongue. Solid rubber outsole with multi-directional lugs. Colors of White Ledge boots available at Amazon. Too soft sole for rough terrain. To conclude this Timberland White Ledge hiking boots review, these are extremely popular boots, versatile and reliable, with the price & quality combination which can hardly be matched. 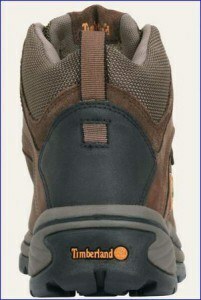 They are a great tool to use for occasional or shorter hikes, or as approach boots for mountaineers and climbers. Normally, you need to walk some 100 kilometers to break in some hiking boots. But this is definitely not the case with White Ledge. Note that there exist models for men, women, and for kids as well. These boots are No. 1 hiking boots on Amazon. For the updates about the price, please follow the links given here. These are the places where you can get the best price, and you might even have a free shipping. I hope this text has been useful to you. If this is so please share it with others in your favorite social media. 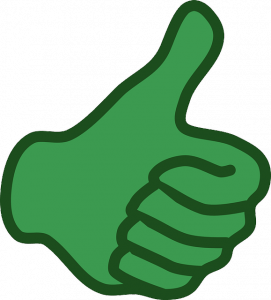 Thank you for reading, and do leave me some comment below, I shall be happy to read it. I wish you a pleasant day. Had them 6 weeks and they leak badly, taking them back!! Sorry to hear that. It can happen with any model, literally. I would say a bad luck, pity for such a great brand. Will they accept them back? This would be a good info for others to know. There is such a wealth of info presented here. I like to read your texts and to see the photos in some of your pages about mountains. Very inspirational. These particular boots look really great and the price is simply surprising. Hi Melanie, this Timberland model has been popular for many years. Indeed, no other top brand can match this price. Thank you. Very informative review on Timberland white ledge hiking boots. My present hiking boots are so incredibly heavy, I am tempted to give these a try as they are light weight. I also like the flexible soles and that should be fine for flat hikes, which is mostly what I do anyway. 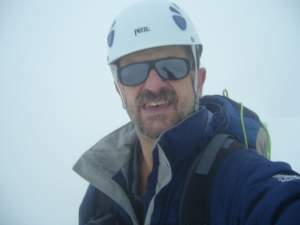 Hi Michel, Timberland White Ledge are most likely the most popular of all hiking boots I have ever seen. The price is surely one reason, but there is quality as well. This is an all-leather tool, minimum number of seams. All the best to your son and you.